We’re excited to announce that we’re curating a new music series at Engine, an art gallery in Biddeford, ME (halfway between Portsmouth, NH and Portland, ME). We’re kicking off the series with New Haven, CT’s legendary space-rock band Landing, supported by Selbyville’s Artie Fischer. There will be a two-band bill each Saturday night, and occasional Sunday afternoon jazz shows. In March, Burst & Bloom artists Guy Capecelatro III and Mara Flynn will perform, as well as several other friends of the label. Look for Hello Shark and more this spring, too. If you are interested in performing in the series, please send an email to music@feedtheengine.org. 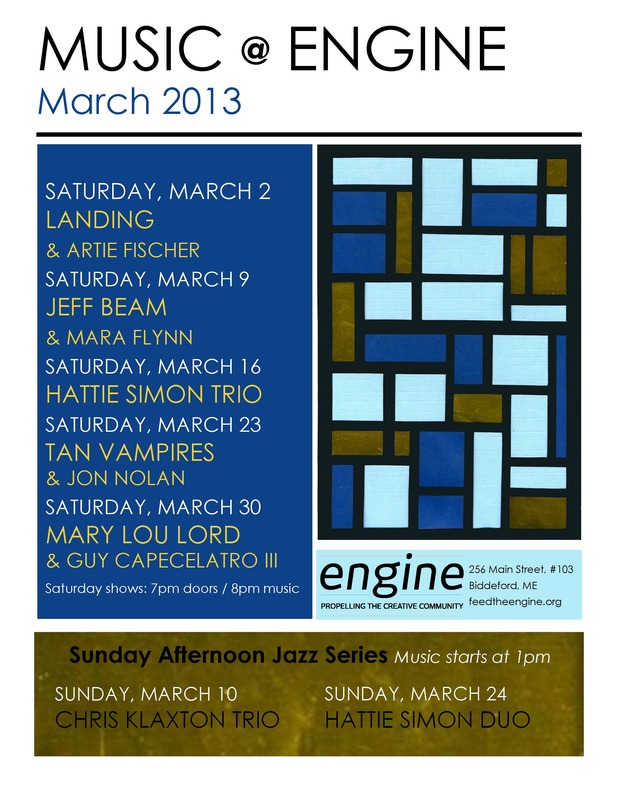 We look forward to seeing you at Engine!